Japan’s strict implementation of its gambling laws has forced its citizens to resort to other means of entertainment. If you are headed to Japan for some casino activity, you might be disappointed as the country is yet to implement their Integrated Resorts Promotion Law. It still got a long way to go so expats must be ready to explore other entertaining games. Lucky for them as Japan has lots of them including Riichi Mahjong. What is Japanese Mahjong or Riichi Mahjong? Riichi mahjong is the Japanese version of the widely known Chinese mahjong. It a tabletop game played by a maximum of four players. Just like poker, the players have hands that they have to complete to win points against the other players. Other similar games include gin rummy and Rummikub. 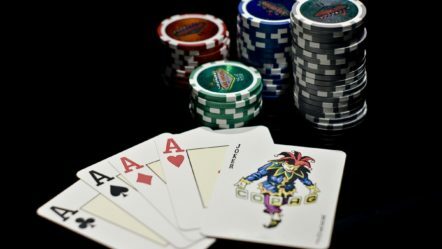 Whilst it shares similarities with poker, it can be pretty complicated for first-time players. Read on if you want to learn the key aspects and basic rules of the game. Souzu (Sou, Bamboo, or Sticks) – Please note that a bird, owl, or peacock would usually represent 1 Sou instead of a single stick or bamboo. Manzu (Man, Characters, Cracks) – These tiles would have the numbers written in Chinese or Japanese characters. Unlike Chinese mahjong, riichi mahjong does not use season or flower tiles. It also does not use joker tiles seen in American mahjong. Also, richii mahjong is playable with one five from each suit substituted with a red five tile. At the start of the game, the players get 13 tiles each. At their turn, they will draw one tile from the wall set up or claim a tile thrown or discarded by another player. This will temporarily give them 14 tiles. If they have a complete hand of four groups and one pair (i.e. 3+3+3+3+2=14) and has an accepted yaku (see below), they can expose their tiles and announce that they win. On the other hand, if they do not have a completed hand, they must throw one tile. Sequence (Shuntsu) – the most basic set to form. It has three consecutive tiles of the same suit or, in poker, a straight with three cards. Do note that a sequence formed with tiles from different suits (3 circles, 4 sticks, 5 circles) is unacceptable. A sequence also cannot wrap around the ends of a suit (9-1-2) and cannot use honour tiles. Triplet (Koutsu) – completed using three of the same tile or a trio/triple. Kan (Kantsu) – completed using four of the same tile or a quad. Note: Since kan uses four tiles instead of the usual three in each set, the player who has it must announce it so they can receive an extra tile from the wall so they will not have two few tiles to create the four sets plus one pair. Some games allow for a closed kan or declaring the presence of a quad without showing or flipping them immediately (this is an added strategy as you do not allow your opponents to see your tiles. Players can choose to play with a closed kans, wherein they can choose not to announce its presence as soon as they formed it. The player can choose to announce it at any time provided it is done before the win. This gives the player the freedom whether they want to use the kan or not. Initially, the players will shuffle all the tiles and place them in rows or walls facing down. Once the starting hands are given out, the dealer takes one tile from the end of the wall. The dealer can win or discard a tile they no longer need. Players must arrange their discarded tiles in a row chronologically in front of their tiles. Once a player throws a tile, other players have the chance to get it if they can use it to complete their set. Other players can only pick up this tile if it immediately completes their set, which they have to show face up. Once this set is already exposed, it is no longer considered part of the player’s hand, thus cannot be swapped or thrown away. After the throw and no other player claims it, the play will go on counter-clockwise and the player will also get one tile from the wall. If a player calls the tile, the turn switches to the player and the play resumes from that position, skipping other players in the turn. The play will proceed until one player wins or all tiles in the wall are dealt, excluding the dead wall or the last 14 tiles in the wall. In case the dealer wins or is only one tile away from winning in a draw, they will remain as the dealer. If not, the player to the right of the dealer becomes the next dealer. Chii – called to complete a sequence. This is applicable for thrown tiles from the player immediately to the left of the player who will call. Pon – called to complete a triple. This call is applicable for discards by any player. Kan – called to complete a quad or kan. This call is applicable for discards by any player. This is also applicable when the player has a quad tile in their hand who wishes to announce it or when they have an exposed pon and they drew a fourth tile to upgrade to a kan.
Ron – called when the player is in tenpai or when he only needs one last tile to win and another player throws in that last tile to complete their winning hand. Any player can make this call. Chanta – The hand has 1, 9, wind, or dragon in each meld and the pair. Honitsu – The hand uses only a single suit and honour tiles. Iipeikou – Consists of the same sequence twice while the hand is face-down or closed. Menzen Tsumo – The hand is face-down or closed and win is via self-draw. Pinfu – The hand only has sequences and the pair is not the player’s own wind, a wind of round, or dragon. The hand face-down or closed and the winning tile wait is two-sided for a sequence. Riichi – The hand is fully concealed and the player makes a Riichi bet (see below). Tanyao – The hand does not have 1 or 9 tiles, winds, or dragons. Toitoi – The hand consists of all triplets plus a pair. Yakuhai – Consists of a triplet of players own wind, a wind of round, or dragon. Knowing these yakus will be crucial as part of their strategy for winning as each yaku will add a multiplier to the hand’s overall value or han, which can double the value. Some yakus are worth multiple hands, increasing the hand’s value by as much as 8 times. What separates Japanese mahjong from other mahjong varieties is the riichi, hence the name. This happens when the player his entire hand face-down or closed and is in tenpai. When this happens, that player can call a riichi. To call a riichi, the player must effectively call it before they throw a tile by placing a 1,000-point stick out directly in front of their hand and turn the tile they discard sideways to define the time the riichi was called. As soon as it called, the player plays on autopilot and they are not allowed to change their hand in any other way. The player must pick up a tile on his turn and discard it if it is not the winning tile. They can only change the hand if the tile he draws on his turn is not his winning tile but can turn a closed triple into a kan or quad, as long as it does not change the tile they need to win. Calling a riichi is used by many players because it increases the value of their hand.